Released in 1971 and directed by Stanley Kubrick, A Clockwork Orange was by far one of the 20th century’s most controversial films. 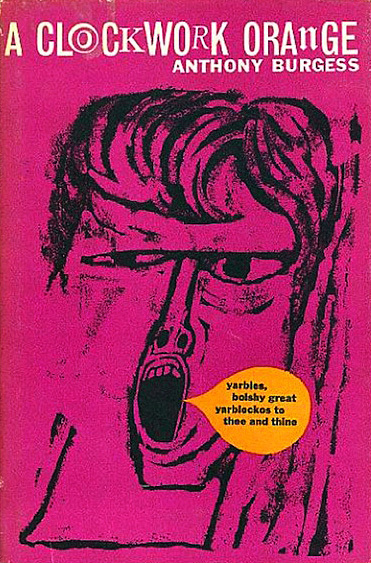 Based on Anthony Burgess’ 1962 novel of the same name (the title being inspired by the old Cockney phrase “as queer as a clockwork orange’), the story is set in a dystopian London of the near future and centres on Alex DeLarge–a sadistic youth with a passion for Beethoven- who leads his gang of ‘droogs’ through the city on nightly sprees of ultra-violent mischief. After committing murder, Alex is finally locked up… but is soon offered a quick way out when he agrees to act as a guinea pig for the Ludovico Technique; a controversial brain-washing programme designed to suppresses the desire for violence (and something which caused actor Malcolm McDowell great pain and discomfort when it came to portraying these disturbing scenes). 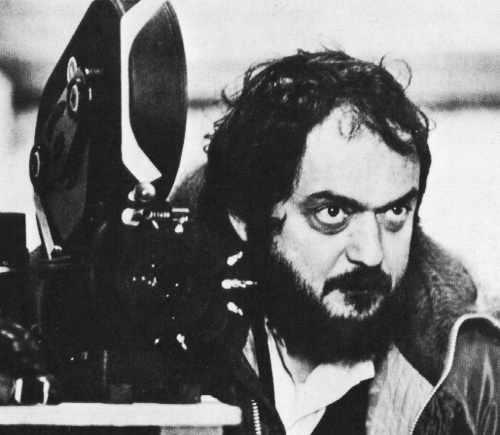 In Britain, thanks to high levels of upset whipped up in the press, the film version of A Clockwork Orange gained such an intense notoriety that Stanley Kubrick himself withdrew his work from circulation; a self-imposed ban which remained right up until 2000. So strict was this embargo that, in 1993 when the Scala Cinema in Kings Cross attempted to screen the film, Warner Brothers took the owners to court; an action which led to the cinema going bust thanks to the immense legal costs involved. Kings Cross’ former Scala Cinema which was forced to close in 1993 following a legal battle related to a screening of ‘A Clockwork Orange’. 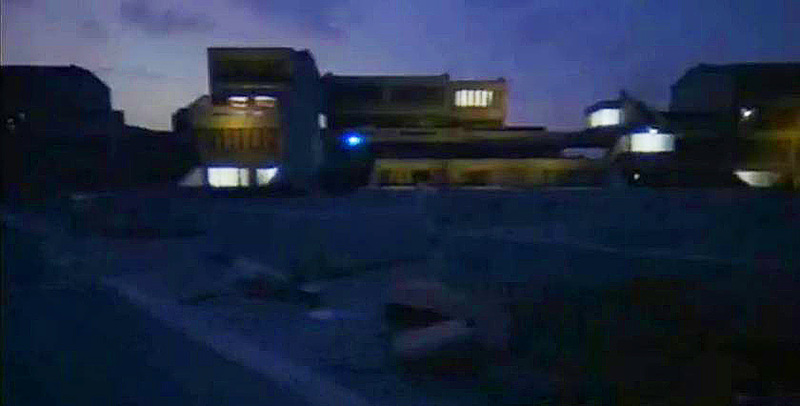 Today, the building is home to a night club. Considering A Clockwork Orange was filmed entirely around London and the Home Counties (including areas such as Borehamwood, Kingston-Upon-Thames, Elstree, Radlett, Brunel University, Bricket Wood and Wandsworth prison) it’s rather ironic that British audiences were forbidden from viewing Kubrick’s film for so many years. Whilst Alex’s nights are spent committing all manner of horrific acts whilst tanked up on drug-laced milk, his days are rather more civil… devoted to indulging his love of classical music; especially that of the “lovely, lovely Ludwig Van” Beethoven. This scene was filmed in the basement of the Chelsea Drugstore; a modern building fashioned from glass and aluminium which opened on the King’s Road in 1968. 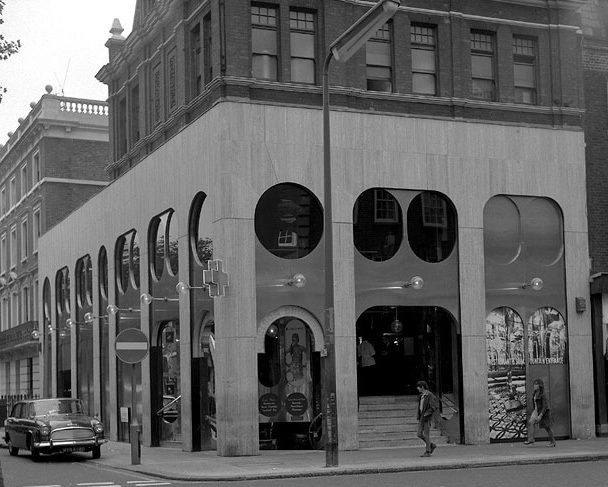 Open 16 hours a day, 7 days a week, the Chelsea Drugstore was an avant-garde, mini shopping mall, its three floors boasting eateries, boutiques, a record shop, bar, newsagent and chemist. It also boasted its own ‘Flying Squad’… an exclusive team of women clad in purple castsuits who were employed to make unconventional home deliveries on their fleet of motorbikes. Groovy! 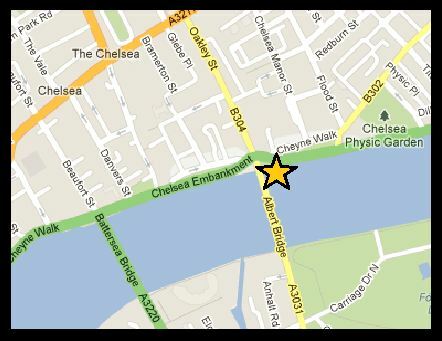 Map showing the location of the former Chelsea Drugstore. Although the Chelsea Drugstore ceased trading in 1971, the shops in the basement (as featured in A Clockwork Orange) remained in place until the late 1980s whilst the rest of the building became a wine bar. 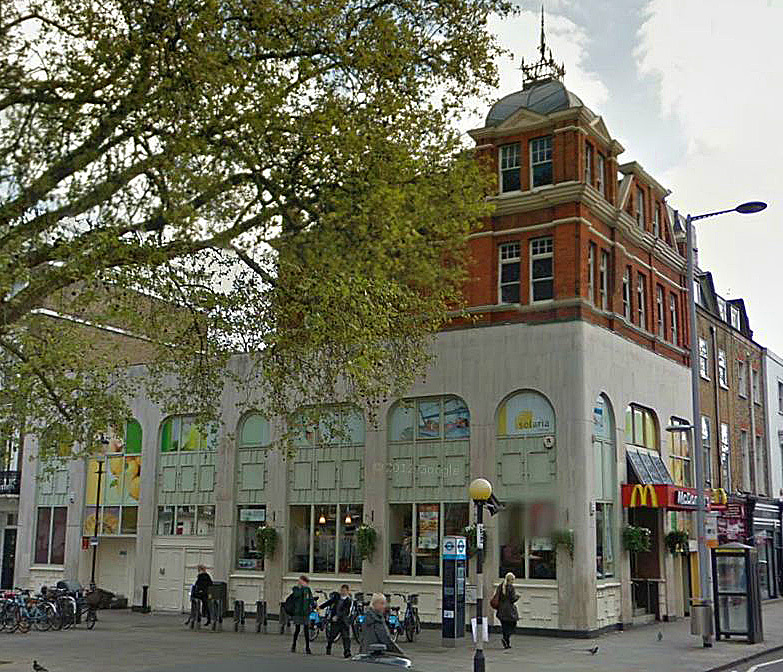 Today, the building is occupied by the Chelsea branch of McDonalds. In order to realise Burgess’ bleak, futuristic vision Stanley Kubrick turned to the modern, Brutalist architecture which was sprouting across London during the era in which the book and film were created; architecture which, as early as 1962, Anthony Burgess was already predicting would provide fertile ground for many unforeseen social ills. In Burgess’ novel, Alex lives in “Municipal Flatblock 18a”, a block daubed in obscene graffiti and plagued by vandalism. To represent this domestic seediness, Kubrick took his film crew to the newly built Thamesmead Estate; a vast, sprawling development near Woolwich in South East London. 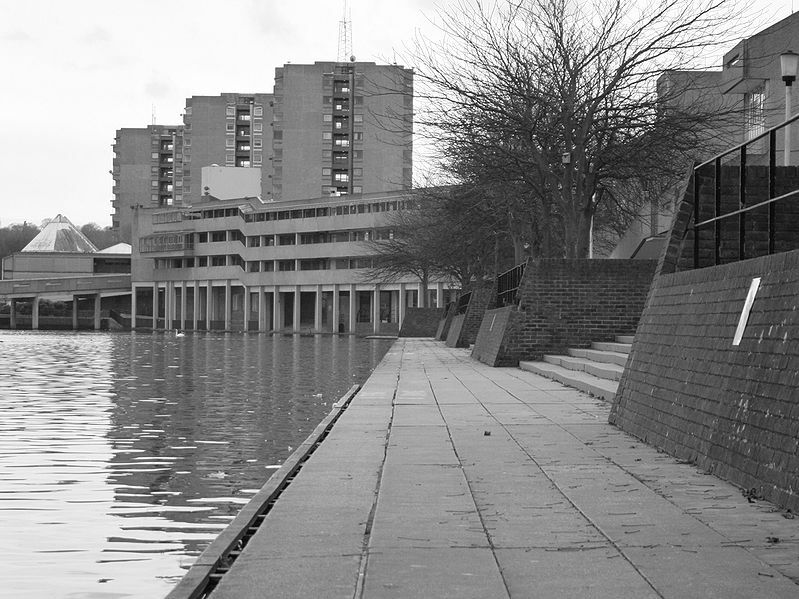 Built on a former military site, the Thamesmead Estate, which was optimistically promoted as being the “town of the twenty-first century”, was built piecemeal between the 1960s and 1980s. 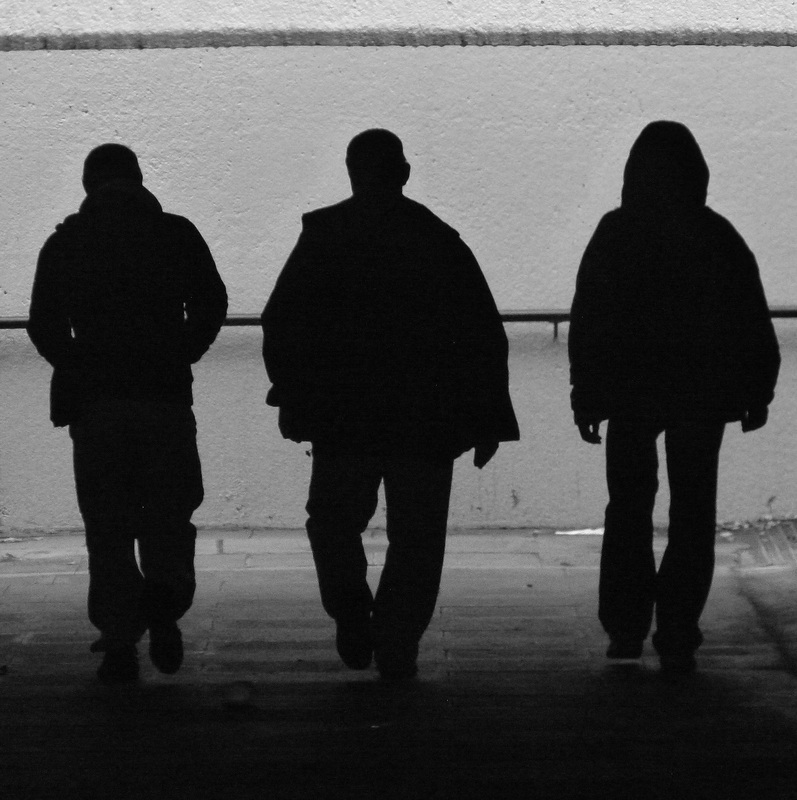 One of the film’s most famous sequences takes place on Thamesmead’s Binsey Walk. 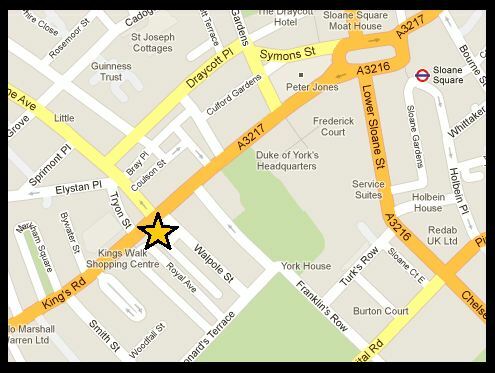 Map depicting location of Binsey Walk. 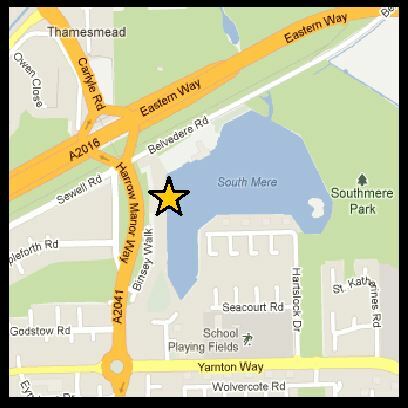 In recent years, the Thamesmead Estate has been used as a set for the E4 comedy, ‘Misfits‘. 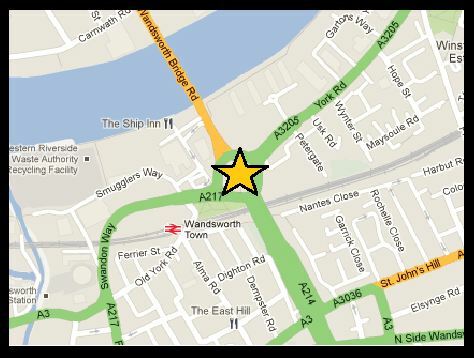 Map depicting York Road Roundabout. 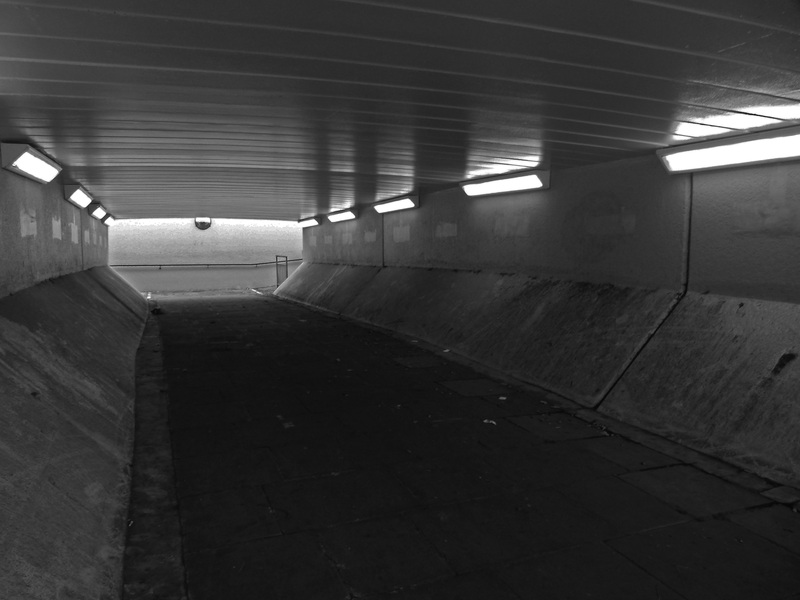 One of the most notorious scenes in Kubrick’s adaptation takes place at the very beginning of the film and involves a vicious assault on a hapless down and out as he lies drunkenly in a grimy, pedestrian subway. 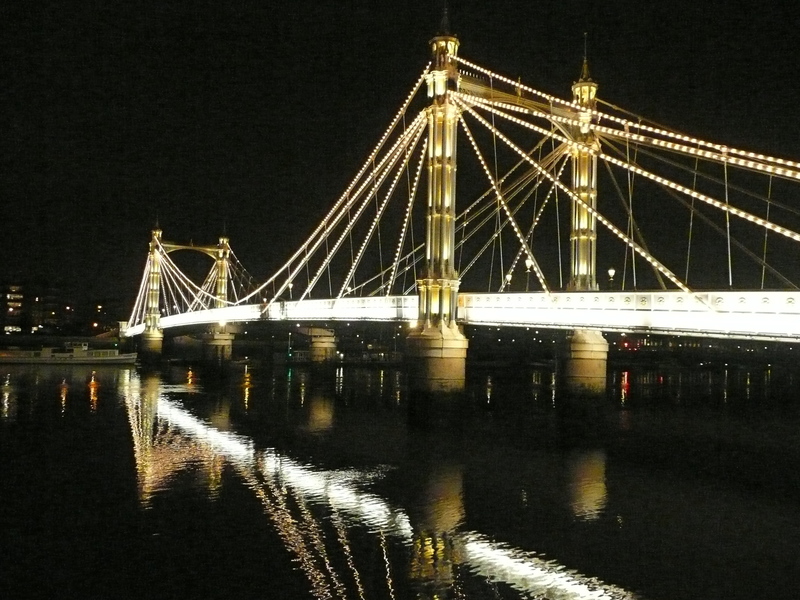 The scene was filmed in the warren of walkways beneath York Road roundabout, which sits at the southern foot of Wandsworth Bridge. Typical of the architecture of the time, York Road roundabout was laid out in 1969 and was pretty much brand new when Stanley Kubrick set up his cameras. Stanley Kubrick with Malcolm McDowell on set below York Road roundabout, 1971 (image: Stanley Kubrick Archive). 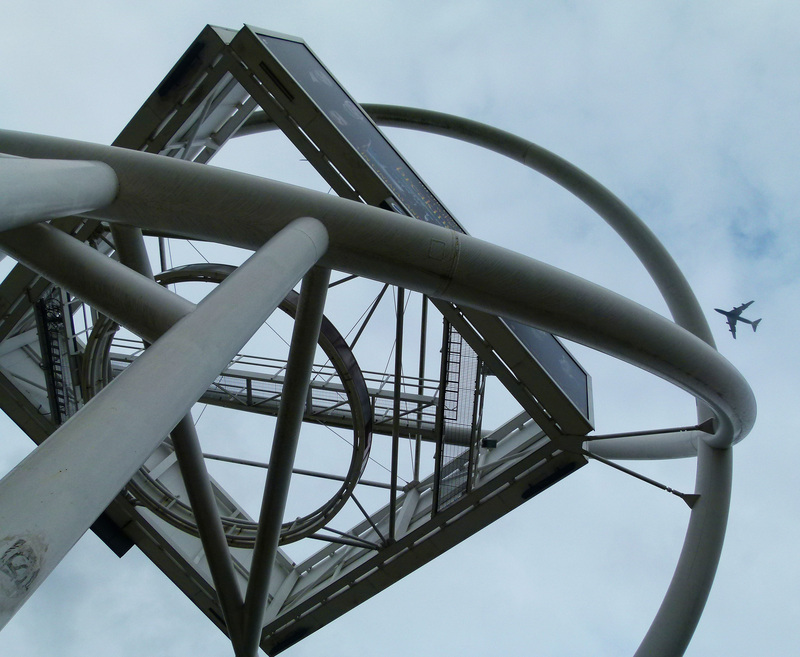 More recently, a large atom-esque sculpture of sorts has been plonked down on the roundabout, becoming something of a local landmark. 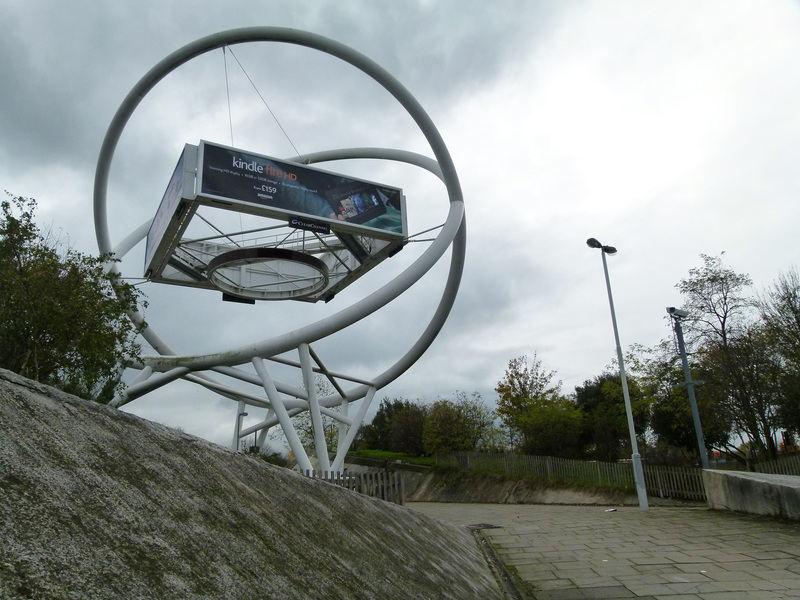 York Road roundabout’s atom sculpture. Looking up at the gantry.